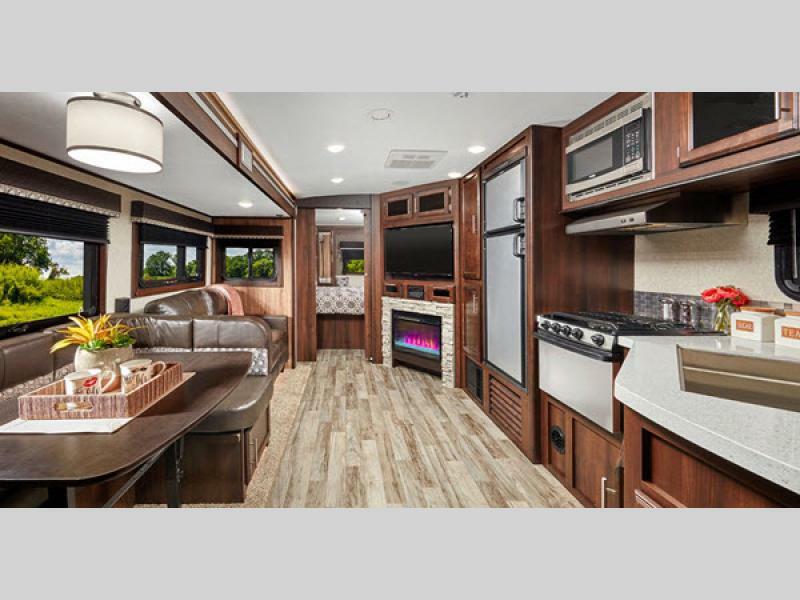 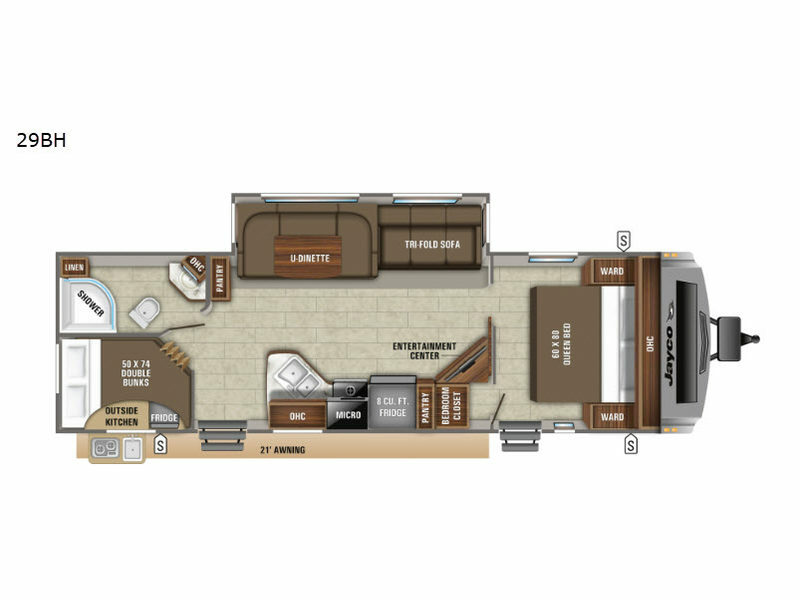 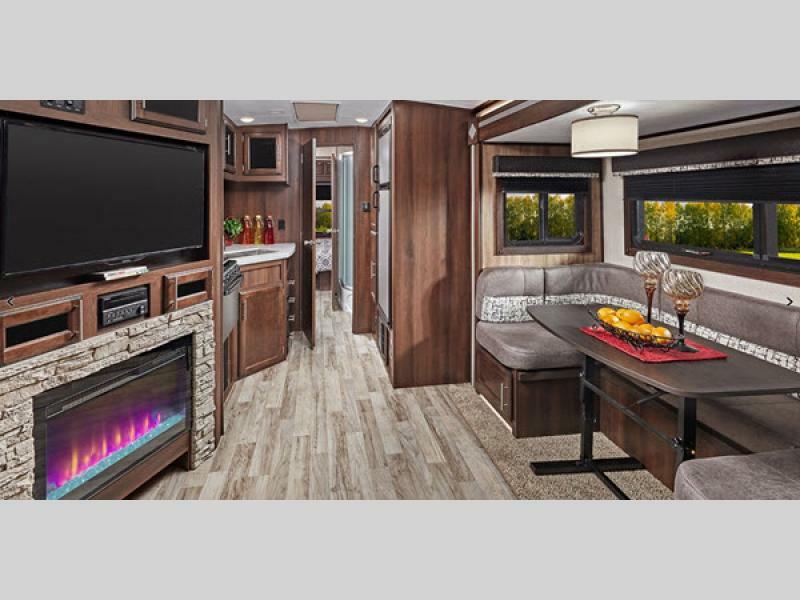 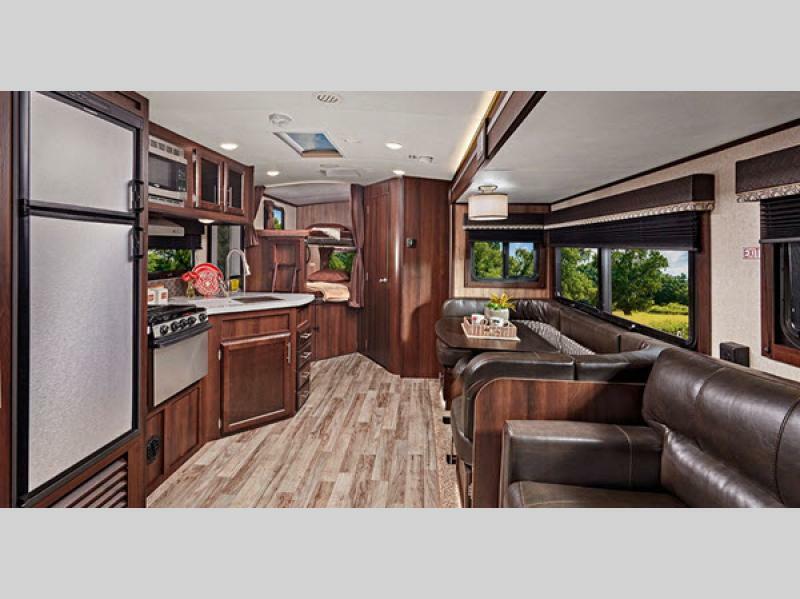 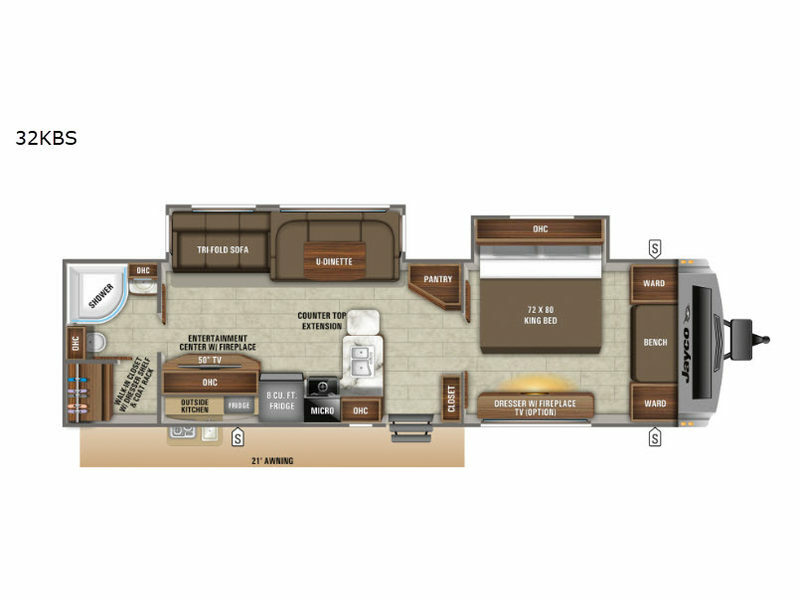 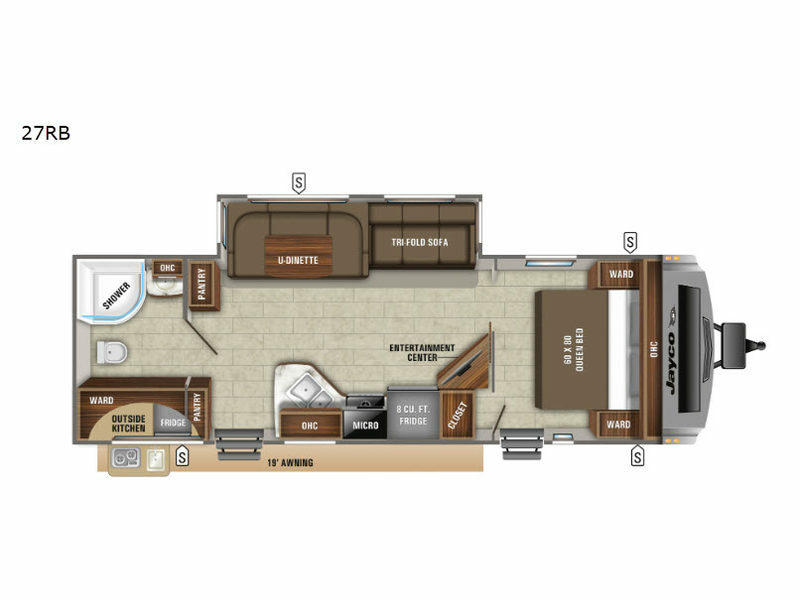 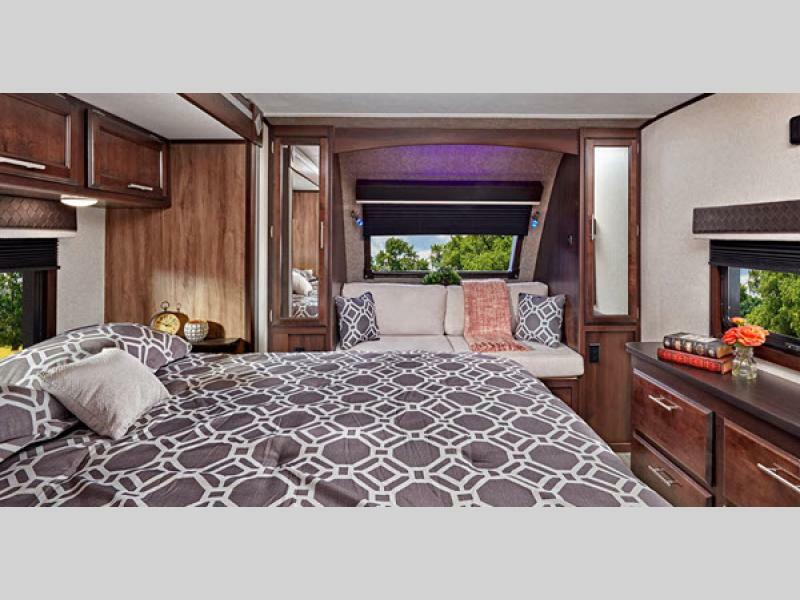 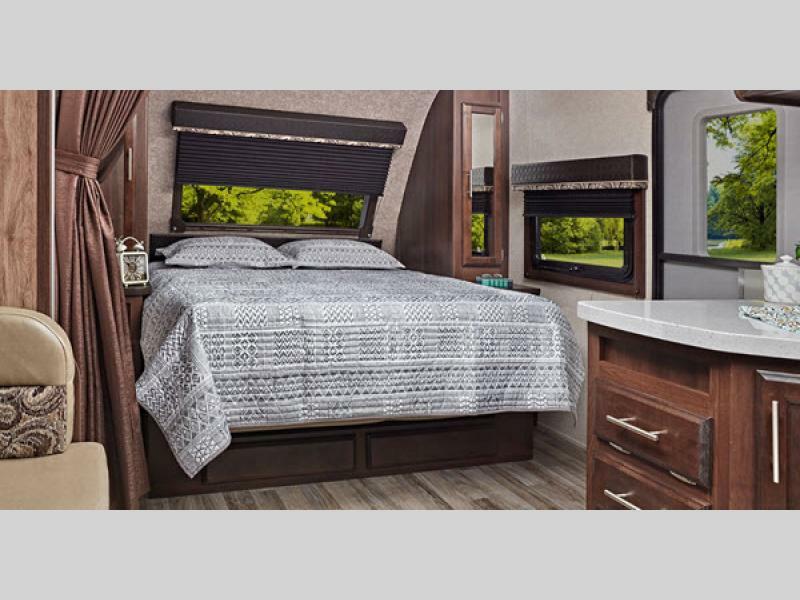 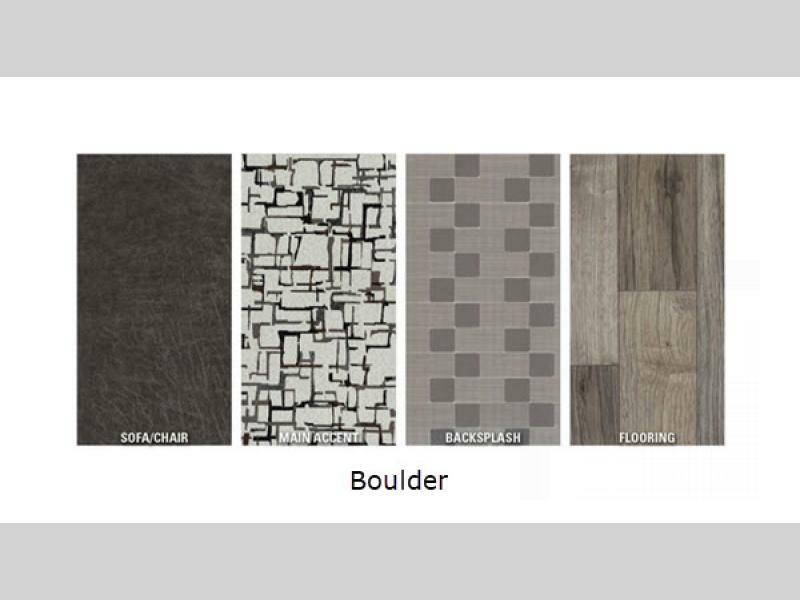 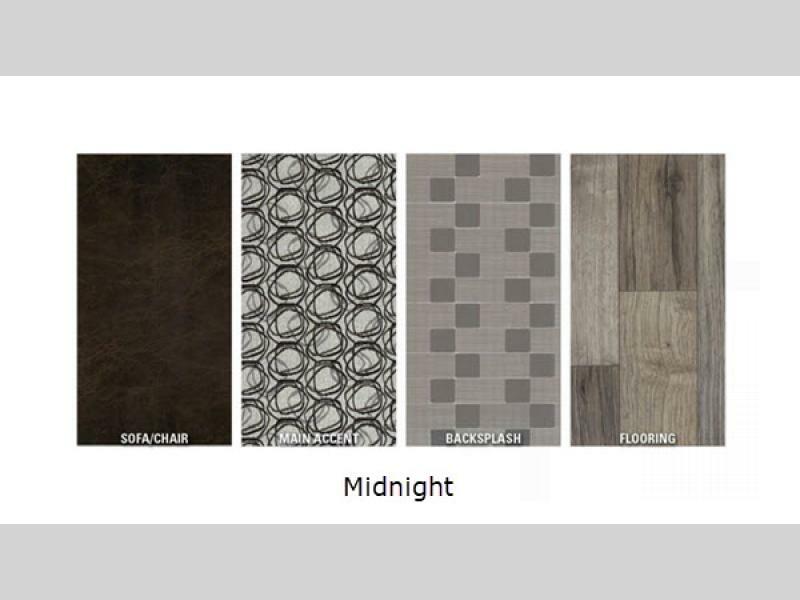 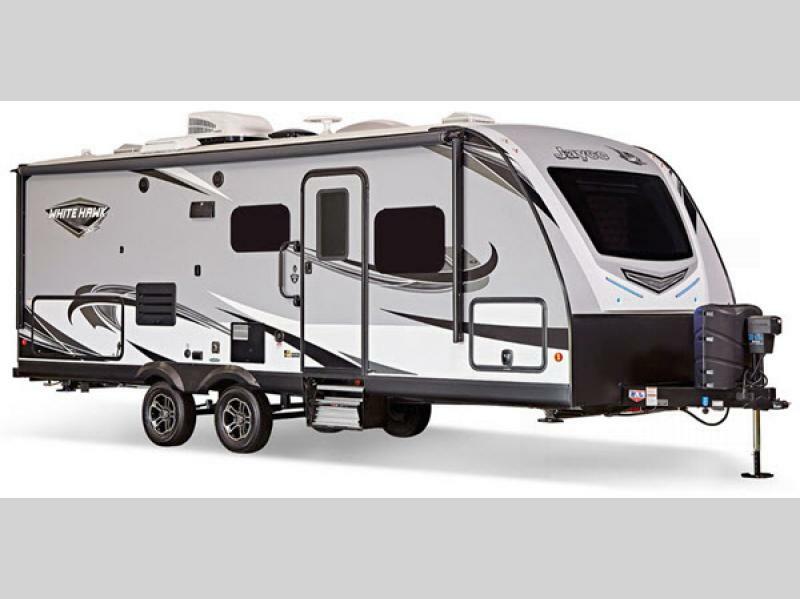 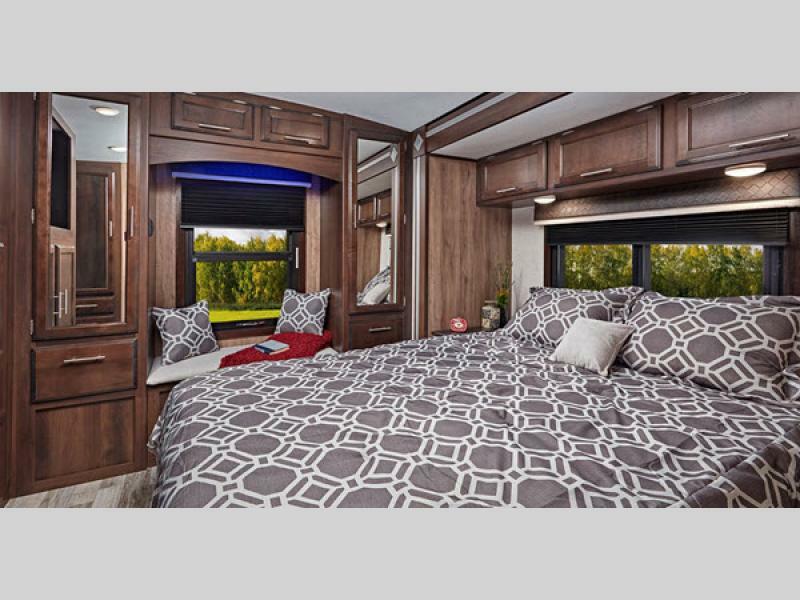 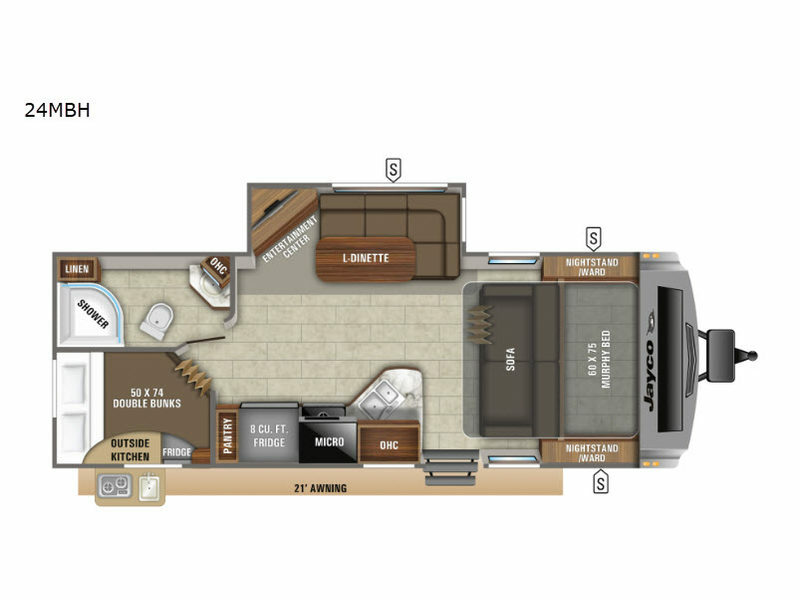 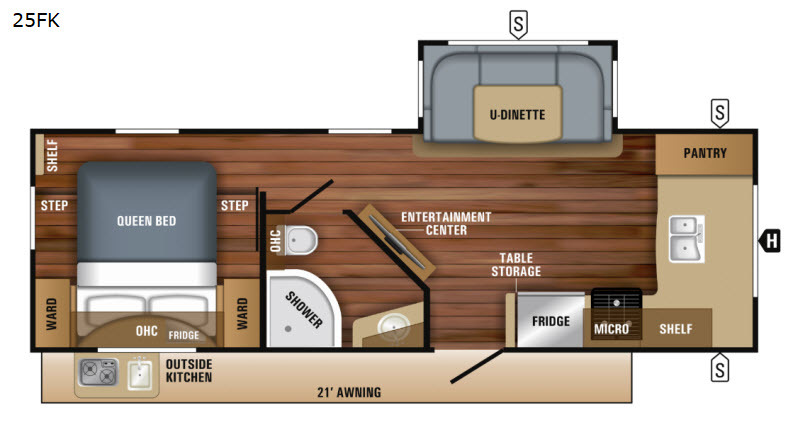 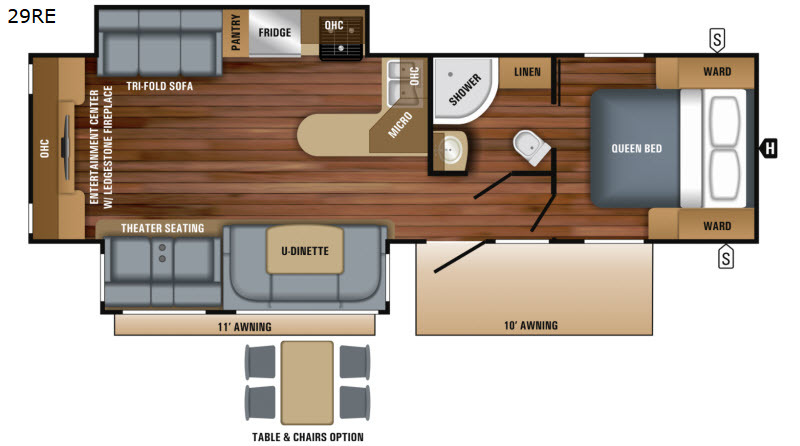 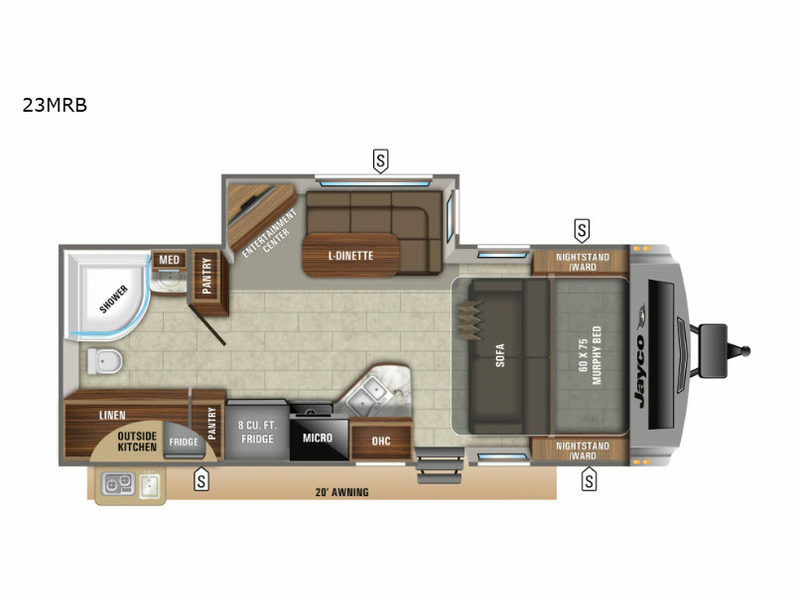 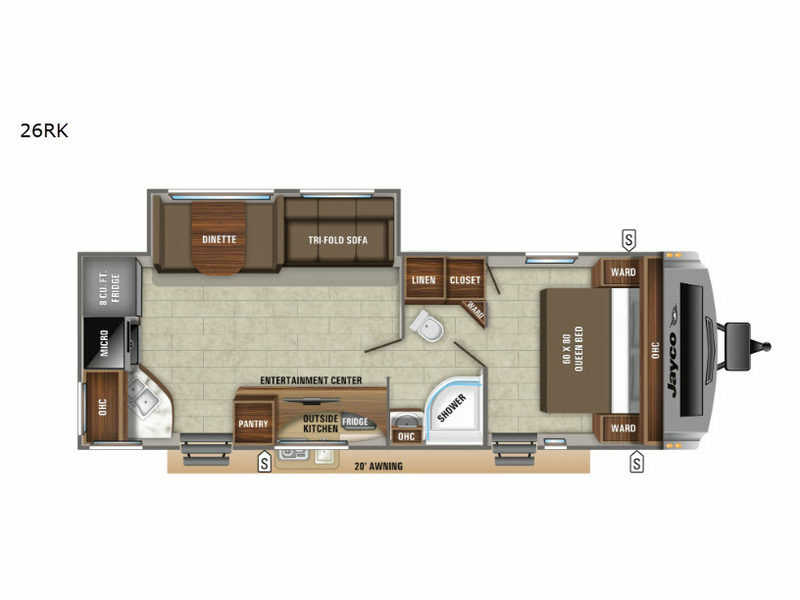 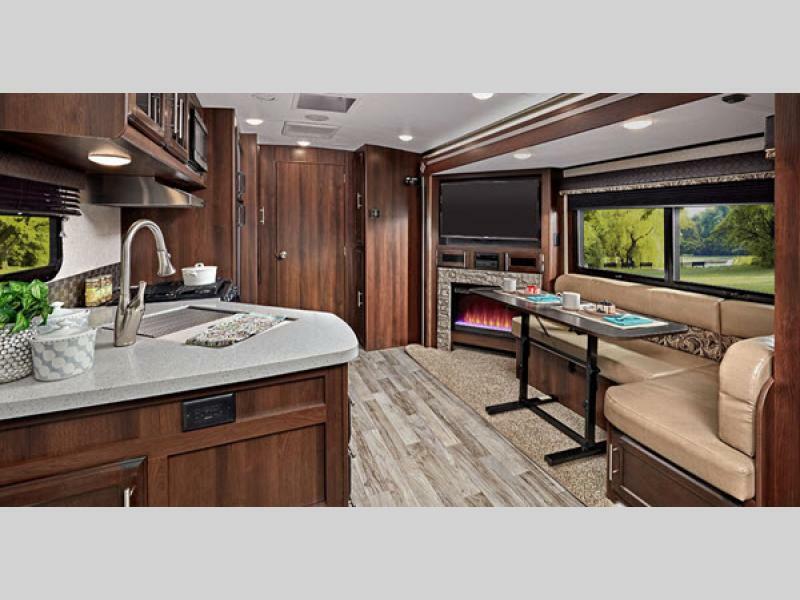 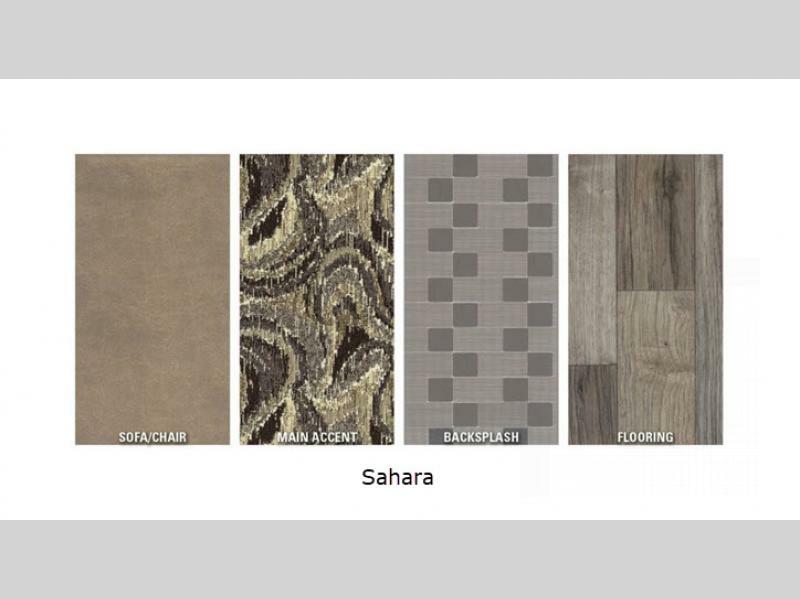 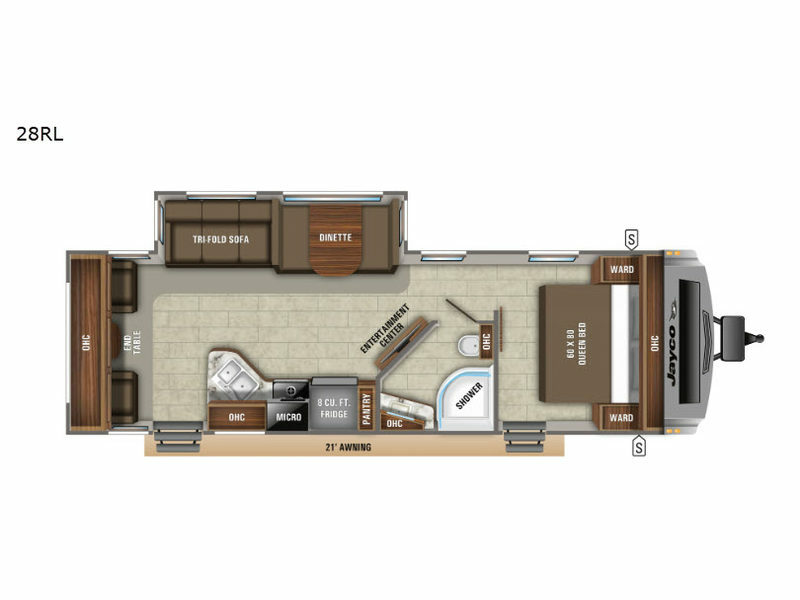 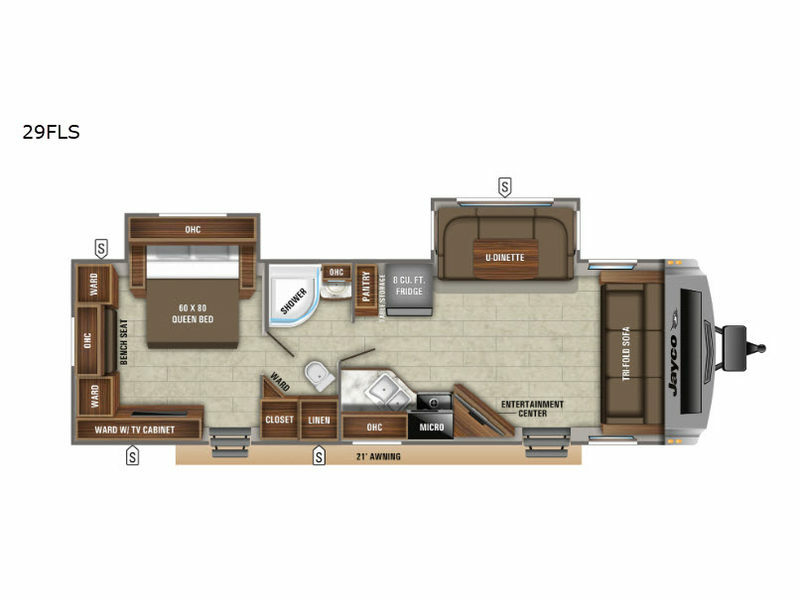 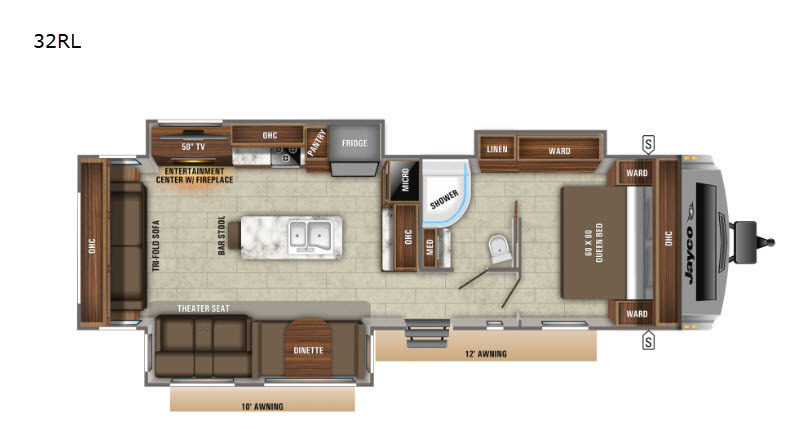 This brand of Jayco White Hawk travel trailers has truly soared to new heights with the newly inspired floor plans and re-imagined interior designs presented in the lineup. 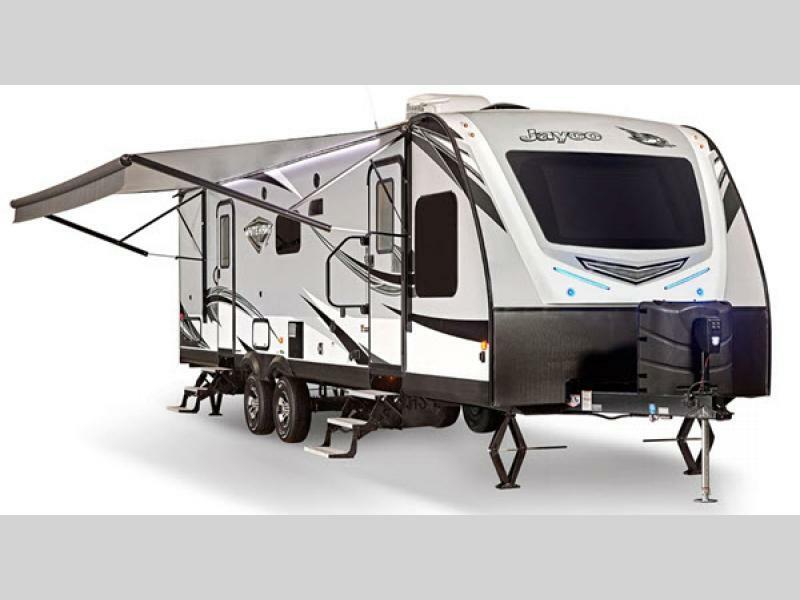 What makes Jayco stand out from the rest of the crowd is its Magnum Truss Roof System which is able to withstand up to 4,500 pounds making it fifty percent stronger than the competition. 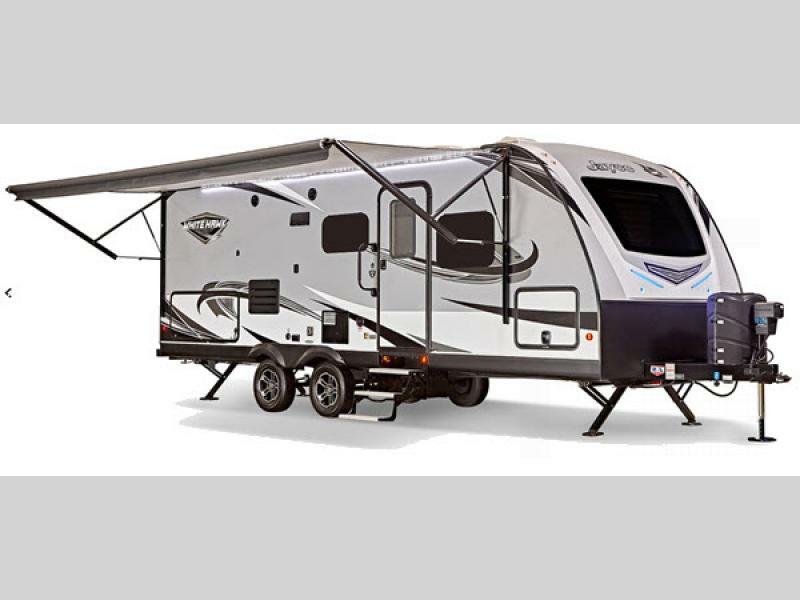 The exterior body of the White Hawk has a sleek and modern finish with its glossy, two-toned sidewalls and rounded fiberglass front cap with diamond plate. 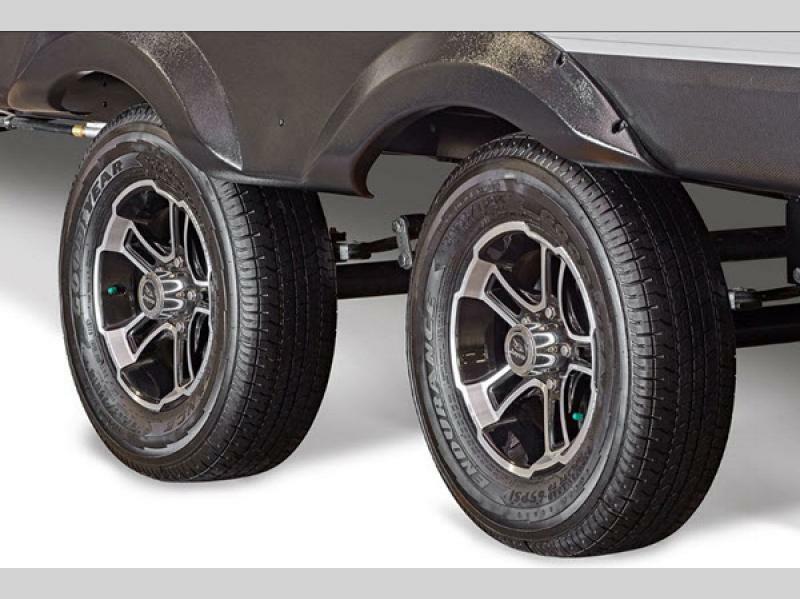 The American-made, nitro-filled Goodyear radial tires and self-adjusting electric brakes complete the exterior ensemble to perfection. 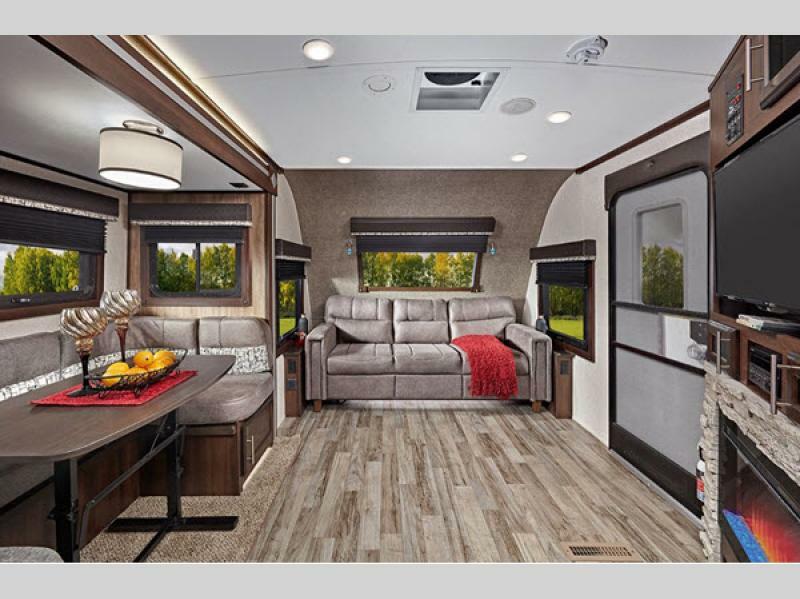 The White Hawk interior is even more spectacular because of the extra-indulgent amenities included, such as the stainless steel appliances, 39" or 50" LED TV, and S.M.A.R.T. 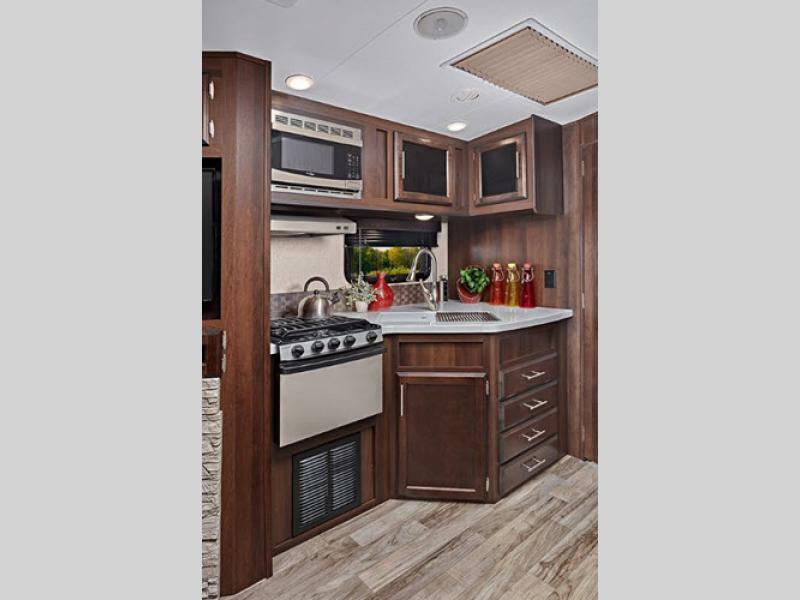 LED lighting throughout the trailer. 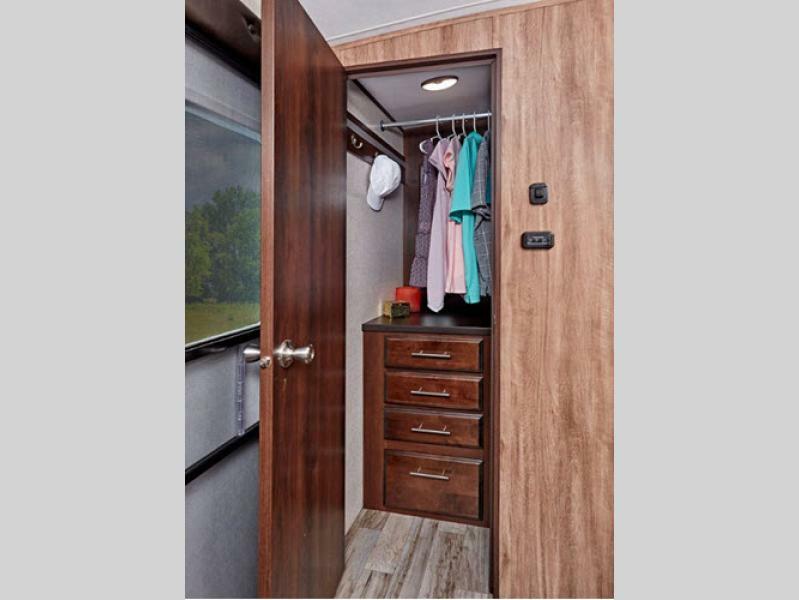 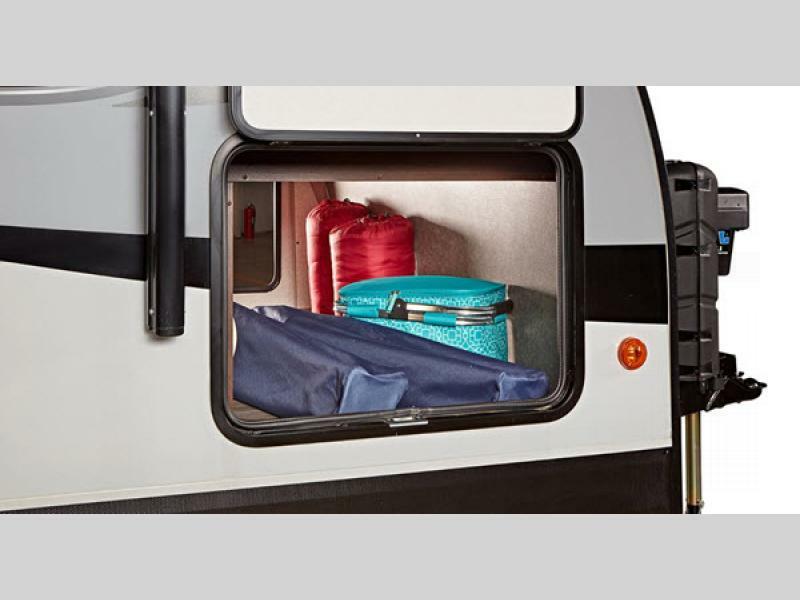 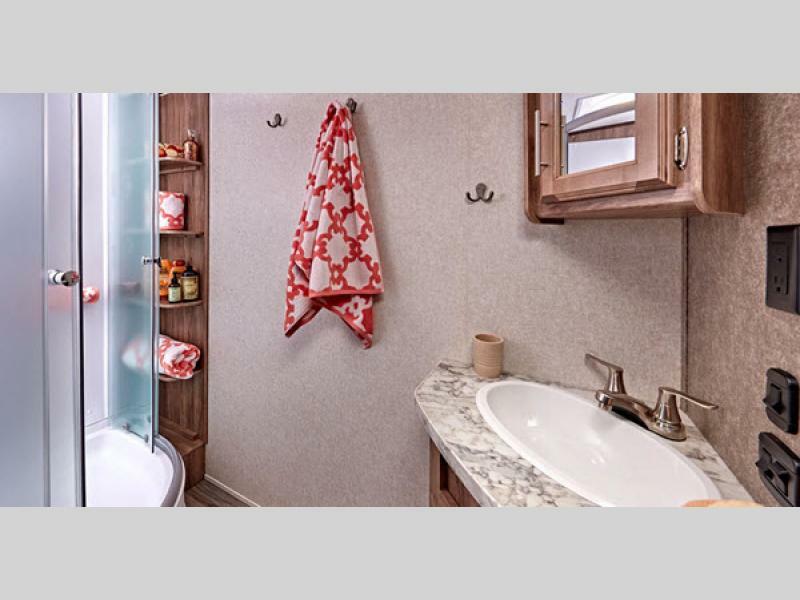 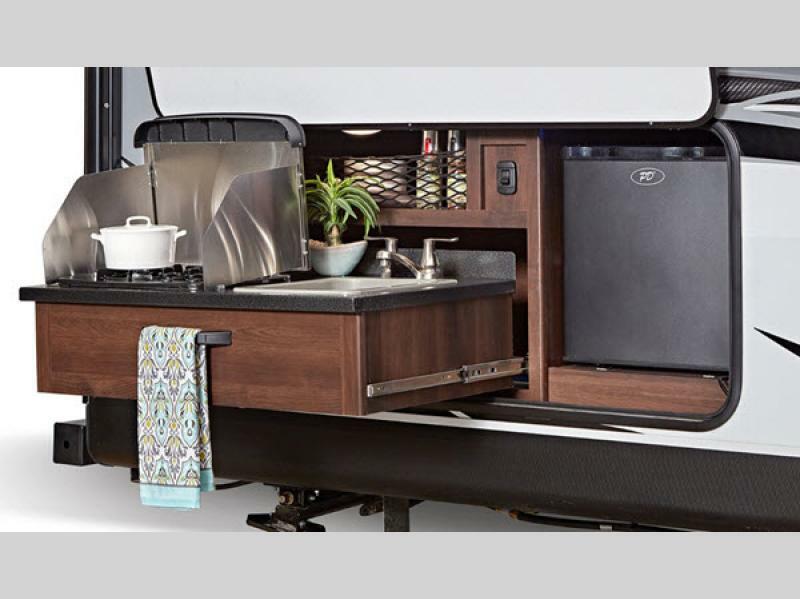 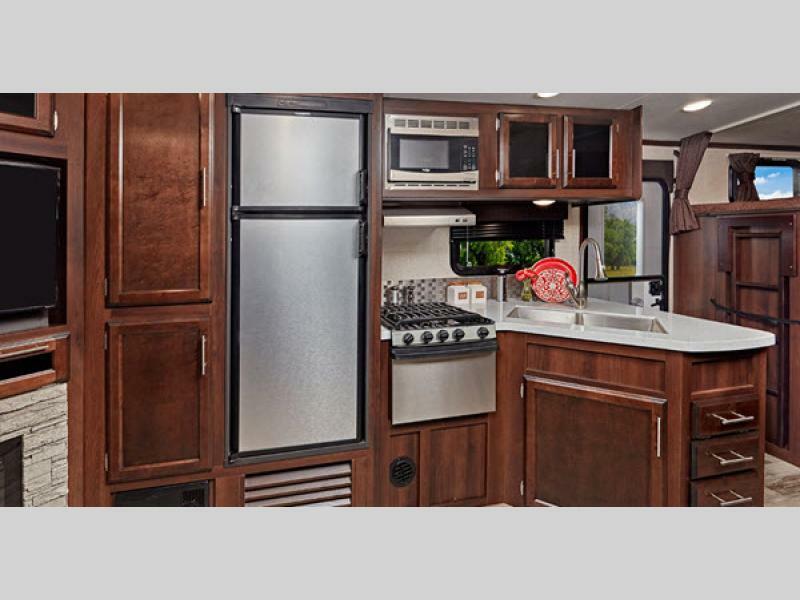 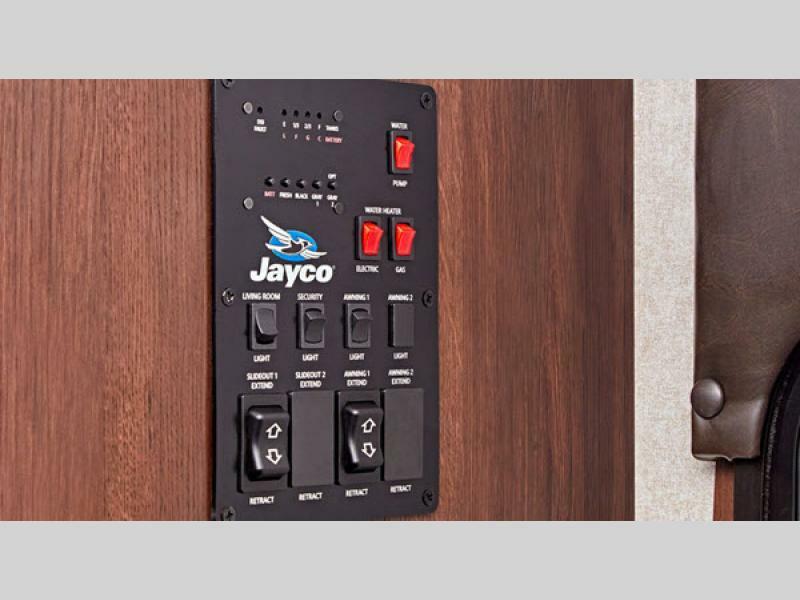 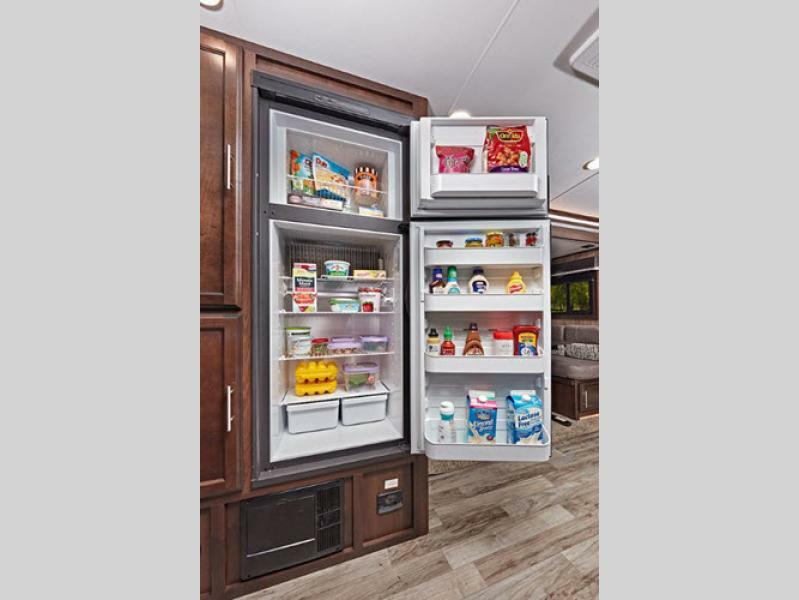 Jayco has made certain that you will not be lacking for storage space in these trailers by including hidden cabinets and drawers in every available area, like underneath the booth dinette, bunk space, and even the master bed. 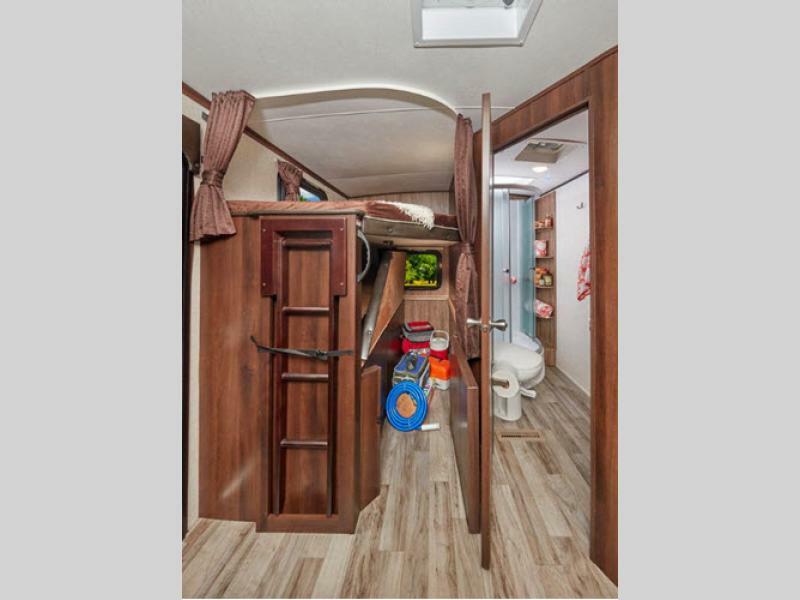 Even the interior ceiling is arched to give you that extra space to walk about the trailer freely and comfortably. 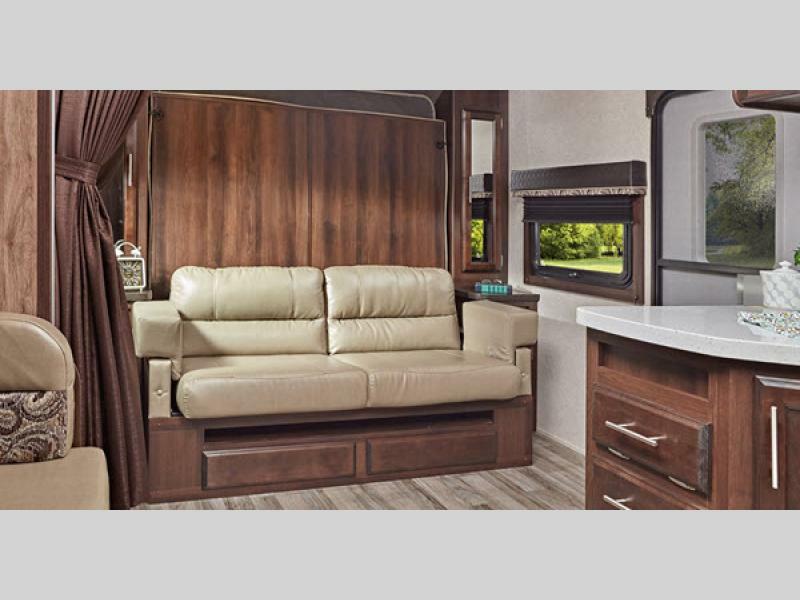 Experience the quality for yourself! 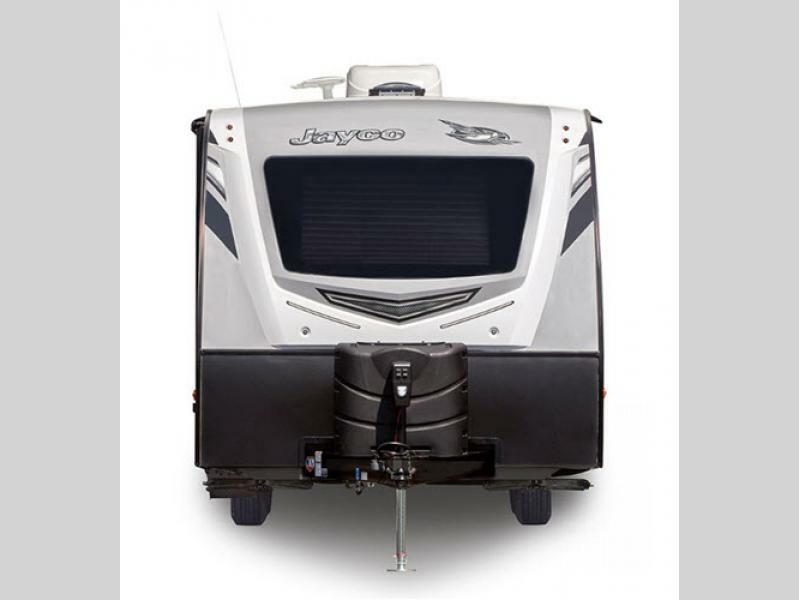 It's time to hit the road and let the good times fly in this Jayco White Hawk travel trailer.